Summary Support the purchasing / selling function and will carry out a variety of tasks and functions in support of the Aircraft Sales & Leasing team. • Identify and purchase & sell various aircraft types. • Provide insight and analysis of pre-owned aircraft market, emerging trends and demand/supply dynamics. • Coordinate and communicate with the sales force to secure sales. • Prepare customer inquiries and provide quality responses. • Establish competitive pricing levels for customer inquiries. • Bachelor of Arts degree (B.A.) or Bachelor of Science degree (B.S.) from four-year college or university; or eight years related experience and/or training; or equivalent combination of education and experience. • The physical demands and work environment characteristics described here are representative of those that must be met by an employee to successfully perform the essential functions of this job. • While performing the duties of this job, the employee may be regularly required to sit, stand,bend, reach and move about the facility. • The environmental characteristic for this position is an office setting. • Candidates should be able to adapt to a traditional business environment. Summary This top tier leasing company is expanding their operation. They are now seeking an experienced Credit Risk Analyst to join their team. The credit risk analyst is responsible for monitoring airlines and the aviation environment in a dedicated global region, and using the information gathered in a number of ways including a requirement to build relationships with airlines (customers and non-customers), analysts etc. such that they are aware of the general market dynamic, and specific airline issues as they arise. This is an excellent opportunity to join a leading aircraft leasing company and work in an interesting and challenging position, in a fast-paced and dynamic environment. Reporting to the CEO, the primary responsibility is to acquire and dispose of operating lease aircraft asset with (and occasionally without) lease attached. The position’s primary responsibility is to drive the aircraft trading strategy in accordance with the business plan and the overall strategies of the organization, and implement the transactions to meet their objectives. · Evaluate market trends, particularly in aircraft trading value and competitor’s activities to help identify opportunity for value generation. · Maintain and expand the network of relationships with the investor community, including leasing companies, financial institutions, hedge funds and other potential investors in aircraft. · Create a plan for the acquisition of aircraft (either individual or portfolio) and develop a strategic approach (including financial solutions) to materialize the same. · Create a plan for disposal of aircraft (either individual or portfolio) and develop a strategic approach (including financial solutions) to materialize the same. · Contribute to new programs to increase and manage aircraft portfolio, including capital market solution such as Asset Backed Securitization, joint ventures, M&A and so on. · Develop a strategy to enhance its organizational capability in the aircraft trading market. · Conduct marketing for aircraft acquisition and disposal and run the RFP process. · Evaluate the identified opportunities in conjunction with Portfolio Management Division and recommend transactions to Management. · Negotiate terms and conditions of sale or purchase and conclude letter of intent. · Project manage the aircraft purchase or disposal (plus novation, as the case may be) including, not limited to, leading the deal team comprised of airline marketing, legal (in-house and external), technical and so on. · Play a leading role in any kind of initiatives that involve sale and purchase of aircraft, and financing and structuring of the same. Demonstrable record of success trading Boeing and/or Airbus commercial aircraft with lessors and investors. This expanding asset management company with operations throughout the world is looking for a Powerplant Consultant to join their existing team. • Powerplant Consultants are expected to further increase their understanding of technical and commercial engineering and financial principles relating to gas turbine engines as well as the wider aviation industry in general. • There will be an expectation that Powerplant Consultants will also develop a strong consulting and advisory approach, with the aim to broaden the capabilities of themselves and the wider team regarding all aspects of the engine life cycle. • In this role there will be an expectation of developing a skillset that allows full knowledge and familiarity with the requirements of higher level consultancy projects, including engine value assessment, new engine selection evaluation and engine purchase negotiations support/sale/remarketing advice. Summary This lessor has strong backing and has a modern fleet and strong forward order book. This lessor has strong backing and has a modern fleet and strong forward order book. The Head of Aircraft Trading will maintain and build relationships with aircraft leasing companies, investment banks and other investors. The candidate will source and execute transactions including aircraft sales and acquisitions, debt syndications/selldown, source and execute funding strategic debt raising and equity partnership deals. This top ten aircraft leasing company are continuing their organic growth. They are now seeking a credit risk analyst to join their team in Ireland. The purpose of this role is to review and analyse new and existing aircraft lease transactions with airline customers world wide. You will be required to determine the potential risks to the business by applying detailed financial analysis and the company’s internal credit risk grading matrix. Responsibility for the credit/risk assessment of airline customer. Provide quarterly reporting on the existing customer base. PPR currently require a transactional lawyer for an aircraft lessor based in Dublin. Due to continued expansion in the company, they are now seeking additional legal counsel to draft and negotiate; sale, purchase, lease and financing agreements for commercial aircraft. The position may be of interest to recently qualified lawyers and those working in private practice looking to make a move in-house. Drafting and negotiation of transaction documentation for sale, acquisition, lease and finance related aspects of the aircraft operating lease business. Review and drafting of term sheets and proposals for new business. Supporting the business on transaction, compliance and project related work as required. Advice and general support to other departments within Technical, Finance and Sales. Ability to manage compliance issues, default risk and workout issues. Prepare, present and negotiate lease proposals with target customers with the assistance of the team. Effective and successful closing of new business transactions to meet growth goals. Identify new sale and leaseback prospects in territories/airline accounts assigned as well as retaining existing customers. Accessing RFPs for leases and SLBs. Responding to RFPs for leases and SLBs. Successful negotiation of sale & leaseback deals. Build, enhance and manage relationships with new and existing clients. Liaise with customers regarding lease and sale requirements and identify upcoming new aircraft and aircraft coming off-lease opportunities. Monitor lease compliance obligations with assigned customers assisted by the legal and technical teams. Work effectively with other team members as required in the preparation of, and analysis of deals to be considered by the executive management. Monitor competitor’s activities in the market and communicate such information back to the Company. Effective coverage of sales territories. Excellent understanding of the aviation industry through experience. Experienced negotiation of leasing transactions. The Director of Engine Trading will provide support to the Technical and Portfolio management teams managing our clients fleet of aircraft. The role will involve identifying candidates for engine exchange, sourcing used engines for internal needs, and supporting the sale of surplus engines. Assist the Engine Management team with shop visit forecasting. Identify opportunities to mitigate high cost exposure to engine maintenance events. Develop strategies to optimize maintenance costs exposure on end of life assets across the fleet, internal exchanges, pooling etc. Source potential used/exchange or lease engines in the marketplace as required. Assist in the engine exchange/sales process by engaging with all relevant departments to ensure SPAs/Exchange Agreements are completed within agreed timescales. Perform full records reviews, including back to birth history for LLP/serialized part replacements on engines/APUs being considered for purchase. Provide potential buyers with “as removed” and historical records for engines/APUs being offered for sale. Research and provide resolution for all records queries raised by potential buyers for engines/APUs being offered for sale. Assist Contracts department by providing relevant Engine/APU data required for the completion of Estoppel & Acceptance Certificates, Return Acceptance Receipts, and Pro-forma invoices. Review of exchange material proposals including back to birth history for LLPs. Maintain and develop relationships with MROs, OEMs, and engine traders across the industry. Monitor fleet technical issues e.g. SB/ADs etc., to understand any impact to future asset values. Assist in the negotiation of MRO agreements for managed shop visits. Keep abreast of industry trends affecting engine values, maintenance costs and engine availability. Degree in Engineering, Aviation Management, Licensed Engineer or equivalent, with a minimum of five years of engine or parts trading experience. A good appreciation of engine maintenance processes and airline operations. Familiarity with all major engine types, including CFM, and V2500 narrowbody engine types and GE, PW. forward-thinking and rapid response time. that meet company core values. • Ensure sales and gross margin are achieved or exceeded each quarter. • Assist with order processing, expediting, and status updates. • Recognize and communicate industry trends and news. · Develop and maintain advanced financial and economic valuation models for commercial aircraft transaction decision making. · Perform detailed cash flow forecasting and data analysis. · Perform due diligence on commercial aviation investments. · Business development including proposals, client presentations, conferences etc. · Relevant degree in accounting or financial discipline. · 2+ years relevant experience in financial/cashflow modelling or pricing analysis. Summary On behalf of an international Aircraft Leasing Company, Peak Performance Recruitment are currently seeking applications from suitably qualified candidates for the position of VP Legal Counsel, to be located in Ireland. On behalf of an international Aircraft Leasing Company, Peak Performance Recruitment are currently seeking applications from suitably qualified candidates for the position of VP Legal Counsel, to be located in Ireland. The position is seeking candidates at a mid-senior level experience. Summary Peak Performance Recruitment are currently working with an industry leading airline who is looking for experienced and motivated professionals to join their exciting and innovative team. Peak Performance Recruitment are currently working with an industry leading airline who is looking for experienced and motivated professionals to join their exciting and innovative team. Schedule of tasks in a work pack to optimise efficiency or work. Monitor KPIs to ensure the plan is on target. Observe the project’s path and planning change to critical path. Communicate with the Project leader and Crew leaders in production to advise of any changes to the project’s plan and consulting with production on a recovery plan. Be familiar with and assist with all aspects of the planning process, to include reviewing work scope, production of a work pack / customer communications. Safety and commercial awareness methodology application throughout the planning stages. Assist with the development and application of the phasing project and continuous improvement. Additional duties as required by the Planning manager. Knowledge and demonstrable experience in maintenance planning. Must have good working knowledge of maintenance procedures and techniques with ability to forecast task times. Strong communication skills with ability to explain and question all aspects of the maintenance and planning processes. • Competent in drafting technical reports and management of technical documentation. • Ability to support and manage CAMO activities for aircraft under management (Maintenance Planning / AMP Development / AD Assessment / Reliability Reporting / Managing Defects and have knowledge of ARC reviews). • Quality driven with an in-depth Knowledge of EASA Part M and Part 145 essential. • Minimum of 3 years’ experience in the management of aircraft transitions working for a lessor, airline or consultancy with at least 7 years prior experience in a technical role within an airline, lessor, MRO, or OEM environment. Summary Don?t miss this opportunity to join a leading airline in Eastern Europe. We are now recruiting for an engine certifying mechanic. Don’t miss this opportunity to join a leading airline in Eastern Europe. We are now recruiting for an engine certifying mechanic. Candidates must have an engine type rating, engine shop experience and be able to read engine manuals in English. Salary for this position is very competitive and a relocation package is also included. Disassembly of engines into piece part level for further certification of the parts in other shops. Performance of the engine disassembly, inspection of the parts, blending/NDT parts if required, balancing rotors, assembly of the engine, testing of the engine on wing. Summary Don't miss this opportunity to work with a leading airline in the position of Line Maintenance Controller. Job Title: Line Maintenance Controller (Boeing and Airbus) Reports to: MCC Manager Department: Maintenance Control Centre. Develop and maintain advanced financial and economic valuation models for commercial aircraft transaction decision making. Perform detailed cash flow forecasting and data analysis. Perform due diligence on commercial aviation investments. Business development including proposals, client presentations, conferences etc. Relevant degree in accounting or financial discipline. Financial modelling or pricing analysis.experience with exposure to maintenance cashflow forecasting. Summary Project manage the negotiation of a lease agreement and delivery of aircraft to the airline customer. This role is responsible for the provision of reliable, timely and accurate commercial input into and commercial management of contract negotiations including but not limited to aircraft sale, purchase and leasing activity. Preparing and developing commercial proposals for the lease, sale or purchase of aircraft, identifying any risks and mitigating items wherever possible and ensuring contracts are commercially viable to pursue, secure and implement. Preparation and negotiation of contract documentation with customers and working closely with the Legal team and/or external legal resource to ensure drafting and execution of such sale, purchase or lease agreements maximises benefits and minimises risks to the proposed or existing aircraft owner. Preparation and presentation of detailed commercial and financial transactional analysis including but not limited to fly forward analysis, investment returns, and valuation analysis for sign off and approval. The ideal candidate will have previous experience as a legal counsel in an aircraft leasing/finance company and have transacted and negotiated aircraft lease agreements. A newly created position for this growing aircraft lessor, to serve as the primary research analyst and strategic thinker outside of the Company’s executive team. This is a greenfield opportunity to develop the role and function. It is envisaged that the position will have a series of recurring responsibilities, centering around (1) market analysis and (2) developing presentation materials for the executive team. In addition, the position will be expected to generate and follow through on data / thought pieces regarding other opportunities for the aircraft lessor to improve its business. All candidates must have solid experience in commercial aviation and an understanding of the aircraft leasing business model. Summary One of Europe's leading MRO and services providers. Due to continued growth are looking for an Avionics Design Engineer to join their team. The Design Engineer will project manage Design Change projects from conception to delivery. This person will meet the requirements to perform the role of Design Engineer in accordance with the company's Part 21J DOH and Procedures Manuals. • Fulfil Design Engineer role with respect to applicable technical disciplines. • Resolve engineering problems associated with avionics systems designs. • Assist with creation of proposals for Design Change projects, considering both technical and commercial aspects of the project. • Ensure that Design Change projects are delivered within budget estimates and meet the expected quality and on-time delivery standards. • Liaison with Customers to maintain a good working relationship throughout the lifecycle of Design Change projects. • Create and develop commercially viable solutions for mandatory changes to aircraft systems, with a view to selling of those solutions to the marketplace. • Maintain industry awareness, with a view to offering Products or Solutions to aircraft operators to improve the aircraft for their operational needs. Summary The post holder will be responsible for carrying out maintenance activities in the field, predominantly Borescope Inspections, associated with Company and client owned aero engines, modules and transportation stands. • Undertaking all assigned borescope maintenance activities as assigned by the Maintenance and Planning Manager i.a.w EASA/FAR 145 maintenance level approval as recorded within the latest revision of the company Maintenance Organisation Exposition (MOE). • Undertaking other assigned maintenance activities as assigned by the Maintenance and Planning Manager i.a.w EASA/FAR 145 maintenance level approval as recorded within the latest revision of the company Maintenance Organisation Exposition (MOE). • Issuing, (as a company Certificate of Release to Service (CRS) signatory) regulatory Certificate of Release to Service (CRS) i.e EASA Form 1 / FAA 8130-3 etc i.a.w defined procedures within company MOE and FAA Supplement Document. • Able to navigate and find relevant data within the OEM manuals (EMM, AMM, PPBUM, IPC, SPM…) is essential, as some of the maintenance activities will be conducted as a lone worker. The ability to further interpret the manual data accurately is also a key requirement. • In conduct of the maintenance activities, the post holder will be responsible and expected to carry out all such activities as per the OEM manual requirements utilising all specified tooling/alternative tooling, and must notify the Maintenance and Planning Manager / Quality of any maintenance / documentation errors encountered as required under EASA regulatory Mandatory Occurrence Reporting CAP382 procedures. Summary This person will play a key role in the management of GE/CFMI Powered B737/B767/B747 Main Engine and Auxiliary Power Unit (APU) assets. Issue workscopes to address APU and Engine associated repairs and alterations. Focal point for vendors on technical issues relating to APU’s and Engines, and establishment of procedures for coordinating/resolving technical issues with vendors. Provide part replacement determinations consistent with vendor general terms agreements to maximize utilization of company inventory during shop visit. Review APU and Engine technical documentation. Provide build specifications, and part number interchangeability information in area of APU and Powerplants/Engines. Evaluate/witness engine test runs and provide detailed calculations and reports consistent with Company standards. Monitor customer utilization and forecast fleet APU and Engine removal requirements. Provide technical support and direction as required to support Company APU and Engine Part Sale initiatives and requirements. Five plus years’ experience acting in Power Plant management or engineering capacity or an equivalent combination of education and experience. Summary Our client is an international commercial aircraft lessor with a large and growing fleet. Peak Performance provide a dedicated search and recruitment service to the global aircraft leasing and aviation finance industry. Work closely with other departments in transaction structuring decisions. Summary A new exciting opportunity has become available with our client in Central Europe for an A&P Licensed Engineer. Don't miss out on this opportunity to transform your career. Using applicable current maintenance data, work order instructions and information systems. Documenting the performance of all maintenance actions, compiling and controlling completed work cards. Following the procedures detailed in the MOE and supporting manuals. Identifying and rectifying existing and potential unsafe conditions. Adhere to safety and deactivation/reactivation requirements. Following the procedures detailed in a customers’ approved documentation. Using calibrated tooling and equipment recommended by the manufacturer. Maintaining the work environment in a clean and safe manner. Complying with internal and mandatory reporting requirements. Applying good communication and assertiveness skills. Complying with the work interruption and handover procedures. Complying with the safety policy requirements. Sign off maintenance tasks performed or supervised within the scope of their staff authorisation. Sign certificates of release to service within the scope of their certifying staff authorisation issued. Performance of the functions and responsibilities associated with support staff role within the scope of the authorisation issued. Confirm that each item/task of work has been documented and actioned. the absence of dirt, extraneous matter, tools etc. Plan performance of critical tasks. Determine required qualifications for task performance. Consider human performance and limitations during performance of maintenance. Ensuring that all discrepancies detected as a result of scheduled inspection task, duplicate/RII inspections, critical task inspection and non-routine maintenance rectification are documented and rectified in accordance with company procedures. Supervising the maintenance activities being performed within their zone of inspection responsibility to ensure that tasks are performed and completed to the standards laid down in the MOE. Verifying that all work required by the customer has been accomplished during the particular line maintenance activity or work package in accordance with the procedures specified in the MOE, and also assess the impact of any work not carried out with a view to either requiring its accomplishment or agreeing with the operator to defer such work to another specified check or time limit. Verifying that there are no non-compliances which are known that hazard seriously the flight safety. Ensuring that the release certificate and/or technical log statement contains all the necessary details and reference numbers including details of maintenance which was not completed but allows a return to service within the approved aircraft limitations. Verifying that the aircraft technical log and associated documents have been completed to the required standard following completion of all maintenance. Ensuring that there is an instruction to the flight crew placed in the technical log where crew actions are necessary to verify aircraft airworthiness. Ability to work in a fast-paced environment handling multiple tasks with a high degree of attention to detail. PPE is provided and its use is mandatory while in the production environment. Required to work overtime, as necessary. +44 (0) 28 30229953 OR Email Stephen@ppraviation.com.  Solid knowledge of technical aspects of aircraft transitions and an ability to find practical solutions overcome issues as they present.  An open-minded and problem-solving attitude.  Ability to interact with colleagues at all levels in and outside the organization.  Willingness to travel abroad as required.  A desire to work in a busy and growing environment.  Fluent in English, both verbal and written. Summary The primary responsibility will be to act as the technical representative on behalf of the company and provide ongoing technical support and management of a portfolio of leased aircraft. The primary responsibility will be to act as the technical representative on behalf of the company and provide ongoing technical support and management of a portfolio of leased aircraft. Engineering degree and at least 10 years’ experience in the aviation industry in a technical capacity, or at least 20 years’ experience in an aviation-related maintenance or engineering department. Able to work both independently and as an effective part of a team, with a strong ‘can-do’ attitude. At least 3-5 years’ experience in the aircraft leasing industry in a technical role considered a very strong plus. Experience at an MRO or (especially) an airline considered a plus. Aircraft interiors and/or avionics background not required but are considered pluses . Summary We are currently recruiting for our client for the position of ATR 42/72 B1 / B2 Engineer. ·Recommended to have certification experience of 5 years; out of which 2 years of experience on ATR 42 or ATR 72 and shall have both line and base maintenance experience on the types. ·The company will provide single accommodation. ·One (1) month paid leave for every five (5) months worked which can be taken on a per diem basis. ·Candidates will be hired based on work quota availability and clearance for visa. ·Return air ticket will be provided twice every year on economy class. ·Contract duration is negotiable; ideally 1 to 3 years and will be renewable based on performance. Summary Peak Performance Recruitment are delighted to be assisting a major player in the aviation industry in their search for Licensed Engineers. Peak Performance Recruitment are delighted to be assisting a major player in the aviation industry in their search for Licensed Engineers. Multiple permanent and contracted positions available to candidates who are willing to relocate, in return you will receive a competitive package and exposure to an industry-leading operation that offers ongoing training and career development. What have you got to lose by finding out more!? Carry out general maintenance and servicing work on aircraft and aircraft components of an aircraft type (type rating). Analyse faults and defects, evaluate fault logs and eliminate faults and damage by replacing defective components or by replacing fluids. Furthermore, build in aircraft components, check the functionality of the control and steering gear, chassis, hydraulic system, de-icing system, turbine engine, etc. and document the work done. After maintenance work and work on the aircraft structure, on engines and mechanical systems, check and authorise them within the specified in-house qualification. You will also be responsible for CAT-A work on aircraft and aircraft components. Eligibility to live and work in the EU is essential as unfortunately visas will not be sponsored. Peak Performance Recruitment are delighted to be assisting a major player in the aviation industry in their search for Licensed Engineers. Multiple positions available to candidates who are willing to relocate, in return you will receive a competitive package and exposure to an industry-leading operation that offers ongoing training and career development. Above average load capacity and ready to work in changing shifts. Summary Our well established and market leading client , due to continued growth are recruiting for an Engine Trader. Managing daily pricing activity and research related to inquiries from the Sales Department. Coordination of all the pricing requests/RFPs. Proactive review of aging inventory for price reduction and/or possible teardown or modification to increase marketability. Asset management for rotable inventory including Spec Repair identification. Collaborates with senior management to implement new pricing initiatives. Creating and enforcing policies for effective data management. Effectively and efficiently use established procedures, tools, equipment, and technologies to complete. inquiries related to pricing and management of inventory. Has experience analyzing sales and pricing of assets or commodities. Has minimum of 5 years of experience in a Purchasing or Sales role within the aviation industry. Has extensive spreadsheet and database skills. Exhibits attention to detail and manages time effectively. Knowledge of Microsoft Office, particularly Advanced Excel is required. Experience in pricing of inventory and market evaluation. Ability to interpret technical documents including but not limited to IPC, SB, AD, and SIL. Experience and Skills using logic to solve problems and arrive at solutions. Summary Peak Performance Recruitment are delighted to be assisting a major player in the aviation industry in their search for Licensed Engineers. Multiple positions available to candidates who are willing to relocate. Summary Our Client one of the leading and most respected companies within the Industry, through continued growth and expansion require a Powerplant Engineer to join their team. You stand out through your pronounced strategic approach, your willingness to change and your assertiveness. You have the ability to quickly orient around complex systems and situations, grasp the essentials and develop creative solutions even in unclear situations. Summary The VP Technical is responsible for the negotiation of the technical aspects of lease, sale and purchase contracts, and the project management of aircraft transitions. Reporting to the Senior Technical Director, the VP Technical is responsible for the negotiation of the technical aspects of lease, sale and purchase contracts, and the project management of aircraft transitions. 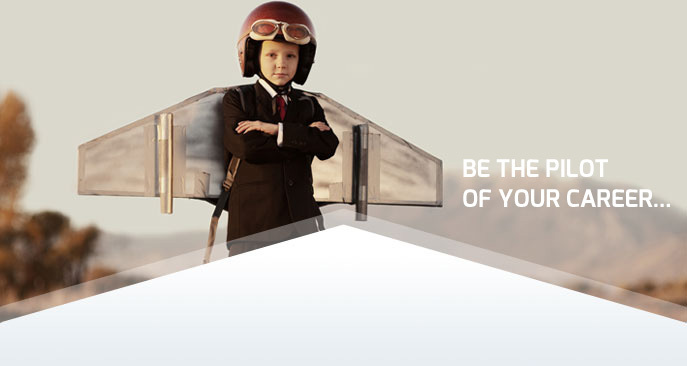 Minimum of a relevant Bachelor’s degree with 10 years’ work experience in the aviation technical field including a minimum of 5 years in a similar leasing role, or an alternative relevant technical qualification with 12 years’ work experience in the aviation technical field including a minimum of 5 years in a similar leasing role. Summary A leading airline who prides itself on quality staff and wants to realise the potential of its staff through good leadership and co-operation. This company is looking for an Aircraft Systems Engineer. A leading airline who prides itself on quality staff and wants to realise the potential of its staff through good leadership and co-operation. The Engineering team, Systems & Structures, is looking for an Aircraft Systems Engineer to join a dynamic organization and a highly reputable flag carrier. The right candidate will have the skills and personality to fit within a small, multi skilled team that is responsible for the continuing airworthiness, safety and reliability of the aircraft and components in line with the manufacturer recommendations and the regulatory requirements. As part of the Systems & Structures team you will work on a variety of aircraft types such as: A320/A330/A340/A350 and B737, and responsible for the ATA chapters: 21, 27, 28, 29, 30, 32, 36, 47 and 91. Ensuring that Airworthiness Directives are being processed and implemented; reviewing and recommending incorporation of Service Bulletins to enhance safety, performance and reliability; supporting other departments. You should have experience working in a similar operational environment and will have safety as your top priority, with sound judgement in both technical and financial matters. Summary A leading airline who prides itself on quality staff and wants to realise the potential of its staff through good leadership and co-operation. The Engineering team, Systems & Structures, is looking for an experienced Aircraft Structures Senior Engineer. The Engineering department within CAMO is responsible for the implementation of all applicable maintenance and authority requirements, monitoring of the fleet reliability, and maintains the maintenance budget of the aircraft and engine types operated by the airline. The Engineering department employs 42 persons working closely with the rest of Technical Operations, Flight Operations, Network Planning, Fleet Management, Finance, Aviation Authorities, Suppliers, etc.